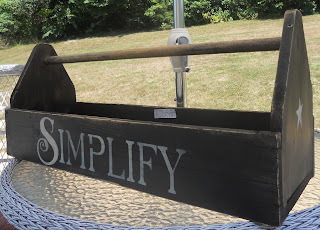 This is an old vintage, wooden toolbox that I've painted in a more prim look. It came to me in a faded whiteish' colored wood, totally covered in grease spots and the inside was terrible. I didn't even think to take a before pic because as soon as I got it home, I started cleaning and painting it. I painted it with a brush, with a flat black. 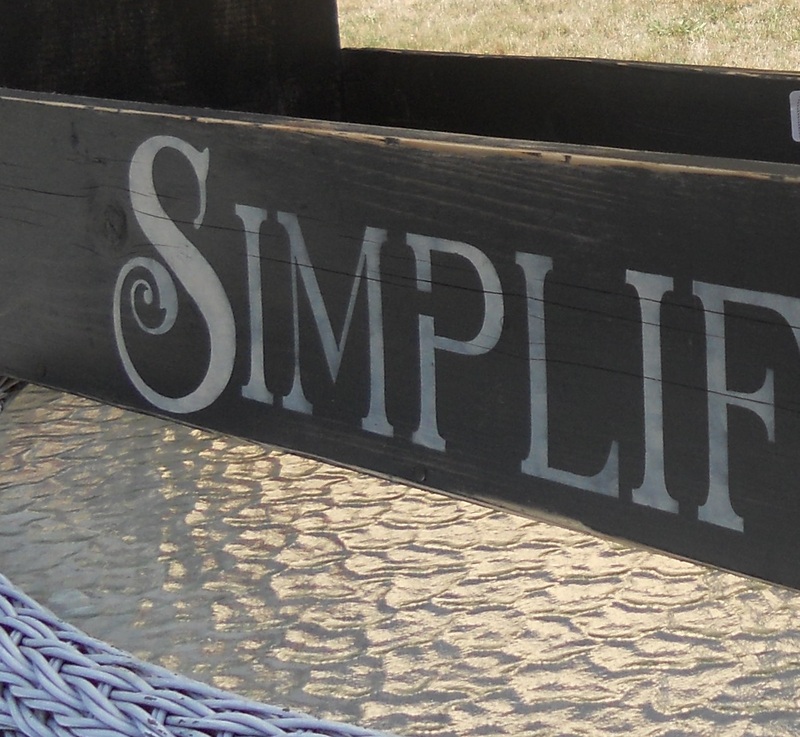 Then I stenciled on the "Simplify" saying and the star. Next, I roughed it up around all the edges & handle with some medium grade sand paper. Then I sealed it with a light shade of varnish/stain combo. Let it dry and here it is. It's for sale in my Peddlers Mall booth for $24.99. I displayed magazines in this at my booth. It would be great for many other uses as well though.